Below are a selection of NLP Frequently Asked Questions (FAQs). Got an NLP Question that’s not answered below? – get in touch! Over the year’s we’ve been asked many questions about NLP (Neuro Linguistic Programming). So we’ve compiled some of the most frequently asked questions and asked our Lead Trainer, Laura Evans to answer them! We hope the answers assist you in building your knowledge and getting some answers to common NLP Questions. Got a question about one of our courses? – You’ll find more about each of our courses on each respective NLP Course webpage, with FAQs relating to that particular course answered at the bottom of each Course page. What is the definition of NLP? There is no single definition that could adequately encompass the incredibly vast world of Neuro Linguistic Programming and the benefits it produces. Is all 'NLP' the same? No. Whilst you will find many similarities across the different fields of NLP and various governing bodies, they are not all the same, which is a challenge for anyone trying to figure out where to learn NLP or which NLP Practitioner/Coach to work with. The quality of NLP Coaching or Therapy is often dependent on a number of factors such as; which organisation your practitioner trained with, how long the training was, how much time for practice was there, how it was taught and under which governing body the Practitoner/Therapist/Coach trained. Terms like Certified NLP Practitioner or Certified NLP Master Practitioner are often unreliable indicators of service or quality in their own right since there are no universally agreed standards amongst the various fields/schools of thought. For example to become a certified NLP Practitioner with an NLP Training Provider accredited by the ABNLP (American Board of NLP) requires a minimum of 120 hours of training. However for comparison there are other governing bodies such as the SNLP (Society of NLP) that will offer Practitioner certification after a minimum of approx. 50 hours of tuition. When you consider how someone was trained, it might be that they were part of a small group with plenty of interaction with the lead trainer and on-going continuous assessment or where they 1 of 1,000 delegates sat in a large conference room. Never be afraid to ask anyone that you are considering working with, to talk to you about his or her experience before you decide they if they are right for you. How can NLP be of use to me? NLP can be used to change unwanted or limiting beliefs, get rid of fears, phobias, panic attacks, to name but a few. It has been used by many to enhance performance and can be effective in many areas such as sport, public speaking, confidence, and motivation. In business NLP can be used for team building, stress management, communication skills, presentation skills, succession management, improving sales and more. One of the wonderful things about NLP is it’s flexiblity to be applied in so many different contexts from Business, Sales, Education, Sports, Coaching, Leadership, Parenting, Relationships, Therapy, Training and more! Are your courses accredited or do you offer certified courses? “Accredited Training” means that the course you are looking to attend is accredited by a governing body giving you confidence that it’s meets a set of external standards. “Certified Training” such as our “Certified NLP Practitoner” course means that graduates of that course are Certified as being competent at the level required thorugh some sort of assessment – having a theroretical knowledge and demonstrated practical competency using NLP skills/techniques. Unleash Your Potential is accredited by the ABNLP (American Board of NLP). The ABNLP require, for example, that on accredited Training Institutes NLP Practitioner courses there must be a minimum of 120 hours of training. Our Certified NLP Practitoner Course, delegates are required to undertake 50 hours of pre-course study, 15 hours to complete their pre-course study test to demonstrate their theoretical knowledge, attend 52 hours of face to face live training during which there is continuous assessment of their practical application of techniques and 7 hours of homework during the course. This totals: 124 hours (and exceeds the ABNLP required standards). Do I need an NLP Practitioner/Coach or an NLP Trainer? That very much depends on what you want to achieve. If you would like support on a one-to-one basis to work on a specific challenge or goal, then working with an NLP Professional will be what you’re after. We offer NLP Coaching to client. Clients can choose to work with Laura Evans directly (our Lead Trainer) or with one of our Network of Master NLP Coaches/Practitioners across the UK. If you want to learn more about NLP for your own personal or professional development, would like to work on a problem from a number of angles and with a range of techniques, or indeed if you’re looking to Coach or support others then NLP Training Courses are what you need. Who are the professional Awarding Organisations? NLP is practiced all over the world. There are the ‘big 5’ certification bodies (see below). Each accredited Training Institute has to adhere to their awarding organisation’s standards, ethics and operating principles. Any of these bodies can withdraw accreditation from an approved Training Institute or Certified Trainer. Each body will require the Lead Trainers on each course to be accredited by them also. 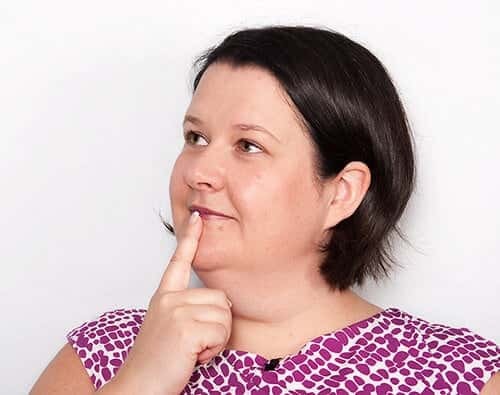 Unleash Your Potential and our Lead Trainer, Laura Evans are accredited by the ABNLP (American Board of NLP), which is the largest governing body, has the highest standards and is internationally recognised. Within the NLP industry, there are no legally enforceable standards of training or practice, unlike other professions such as accountancy, law and medicine. Over the years there have been many NLP organisations that have set themselves up as their own awarding bodies, which is unethical. When looking to undertake training yourself, it’s always useful to review the awarding body standards who accredit your Training Institute to ensure you are getting the very best. Has NLP been scientifically validated? No, nor does NLP make any claims to be scientific or to be based on studies that compare the average behaviour of one group with the average behaviour of another. NLP is a model that works on individual performance. However there is a vast array of anecdotal evidence that suggests that huge numbers of people have benefited massively from the NLP mind set and techniques, and had some quite remarkable improvements in personal performance. For those interested in the science of how the brain works, we look to Neuro Science for this. Neuro Science has already proved how for example NLP Anchoring works. Amy Brann (author of NeuroScience for Coaches) and Laura Evans (our Leader Trainer) had a great discussion a few years back. Laura completely agree’s with Amy’s view that over time Neuro Science will start to confirm ‘HOW’ some of the NLP techniques work. As an NLP community we’ve not been obsessed with putting resources, such as time and money into proving how NLP works, instead favouring using the techniques we know work to help others. It’s great that Neuro Science is now starting to provide what NLP Professionals have known for years! What do you mean that NLP is content free? The field of NLP makes the distinction between process and content. NLP is a process (not content) model. Take traditional methods of personal change where for example clients often recall and talk about events in their past that cause them problems (i.e. traditional counselling). NLP on the other hand does not try to resolve the challenge by looking at the detail of what & why. It looks at the process, the behaviour. Most importantly NLP is designed to be content free and clients love the fact they don’t have to relive the detail of traumatic events from their past. If you’d like to hear our Lead Trainer, Laura Evans’ view of Counselling vs CBT and NLP – click here). Often clients say that making changes with NLP is significantly less traumatic than traditional methods and does not cause the same levels of anxiety. People are keen to use NLP because there is no need to share the detail of events with their Practitioner. Some clients also say that they didn’t realise just how much fun they could have, getting rid of for example their old phobia! When NLP Practitoner courses were first run, they were 22 days long. These courses contained a lot of theory and Tad James (the head of the ABNLP) was the first to run the 7 day NLP Practitioner course model. He recognised that you could take some of the theory out of the face to face training, allow delegates to listen to this in their own time, allowing the face to face course length to be reduced without impacting on the learning. At Unleash Your Potential, we supply our NLP Practitioner delegates with a set of audio programmes to listen to ahead of the course, which they can fit in around their other commitments (unlike some other training institutes, this is not simply a recording of a course!). Providing audio programmes ensures that everyone joins us on the live training course with a theoretical knowledge of NLP from day 1, enabling us to concentrate on practicing the skills on the course. What's the difference between you and other Training Providers? We don’t just offer NLP, we offer Hypnosis, Time Line Therapy™ and NLP Coaching courses too! Our courses are inspirational, full of value and we have fun!